Here is just what you need for a nice relaxing time. A basket of Tranquility! 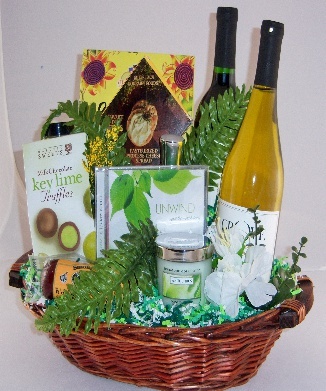 Basket includes, 2 bottles of wine, cheese, crackers, sausage, chocolate truffles, a few pamper products and a CD of soft music to help you unwind.